John Elway will have surgery Tuesday to repair his shoulder injury and will be in a sling for a few weeks. DENVER – John Elway played 16 NFL seasons as the Broncos’ quarterback, was sacked a record 516 times at the time of his retirement, and was hit and knocked down hundreds of other times. Not once did he suffer a torn rotator cuff until he had a bicycle accident last week. 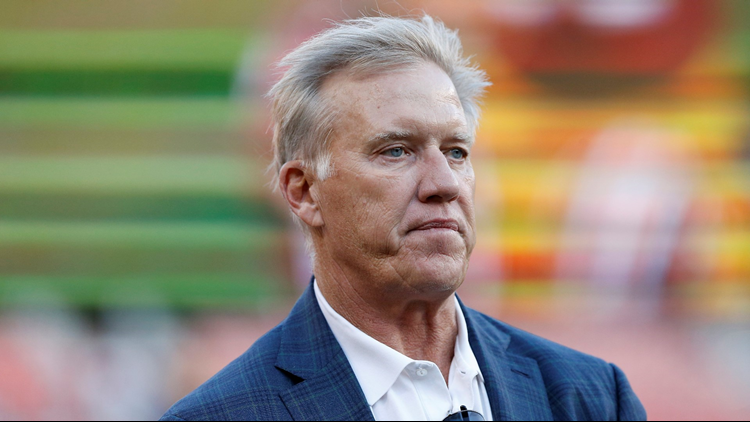 “It’s (not easy) getting old,’’ Elway said Sunday at Broncos Stadium at Mile High. Ever the competitor, Elway and his top lieutenant, director of player personnel Matt Russell, had been regularly taking early morning bike rides in recent years. It was during one of these sessions last week that the accident occurred. Elway will have surgery Tuesday to repair his shoulder injury and will be in a sling for a few weeks. Had the injury occurred during his playing days -- Elway had shoulder injuries, but never a torn rotator cuff -- he would have been sidelined a while. Now that he’s in his eighth season as the Broncos’ general manager, Elway essentially won’t miss any time.